Over the past few weeks we have thoroughly enjoyed finding out about our school’s history and thinking about what life at school may be like in another 175 years! With the help of our community we have interviewed past pupils, read letters and memories which have been sent in, looked at old photographs and researched the history of the village itself. 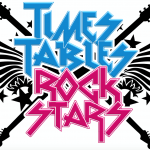 During the first week in May, staff, governors, yourselves, our local community and of course, our children joined together to make our events very special and very memorable. The work produced by each class and the displays and memorabilia have been viewed by many, many people. 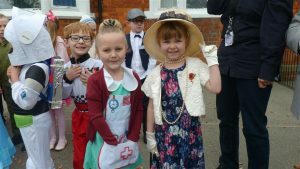 The Monday saw pupils dressed in costumes that represented the past and present. The creativity, enthusiasm and effort from everyone was superb. Thank you!